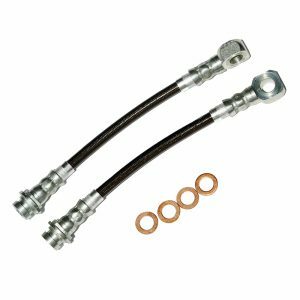 J&M Products direct fit D.O.T. 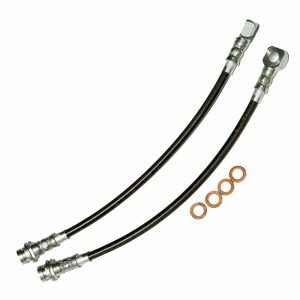 certified PTFE lined brake hoses. 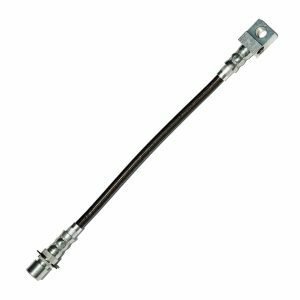 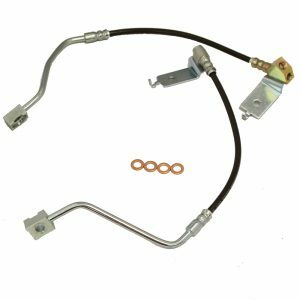 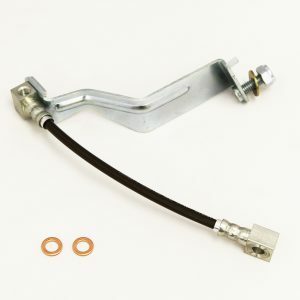 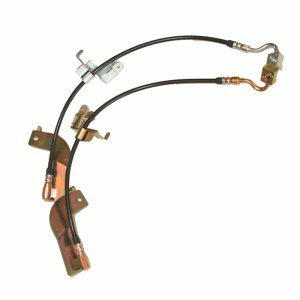 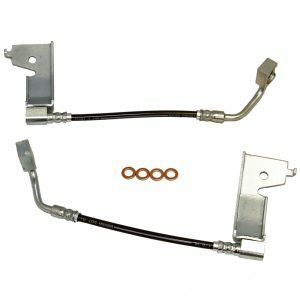 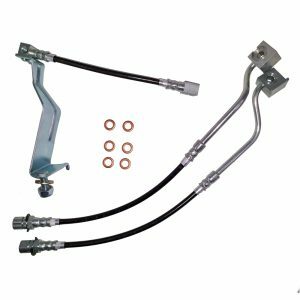 These brake hose assemblies use true OEM style direct replacement non-universal fittings to achieve proper factory hose routing and fitment. 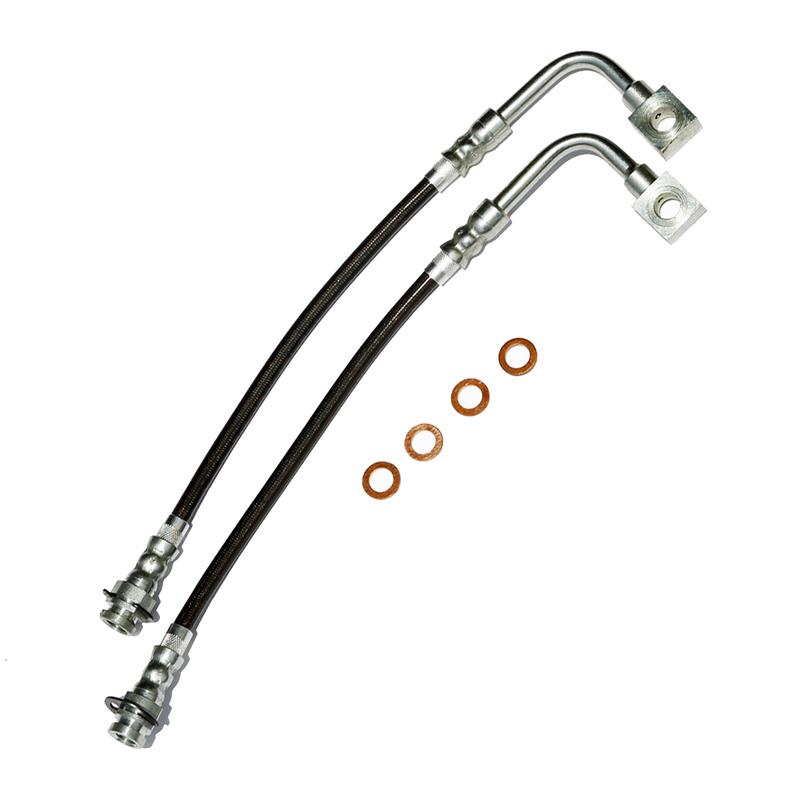 Expansion of stock rubber hoses causes a spongy brake pedal feel and loss of initial braking force. 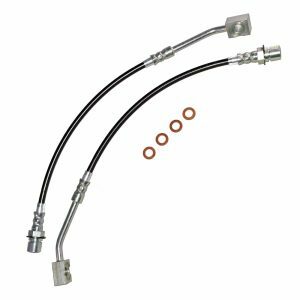 Installation of our PTFE-lined stainless steel hose assemblies will give your car a firmer pedal, quicker braking response, and easier brake modulation. 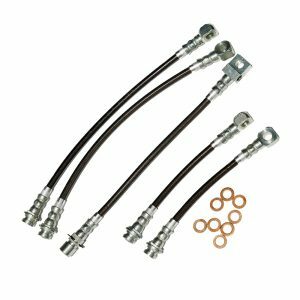 Every hose is tested to 3000 psi to guarantee a leak free hose assembly. 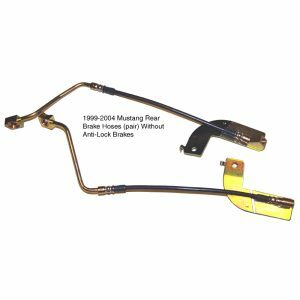 Best of all these are made by J&M Products right here in the USA.